Cassette Club is a relatively newly formed UK electro duo consisting of Ben Macklin and Tom Hammond. The pair use their obsessive knowledge of all things electronic to create soulful electropop music. Sophisticated, yet irrepressibly feel-good, Cassette Club have perfected the art of electrosexy. With influences ranging from ABC to Daft Punk, Go West to Justice, Depeche Mode to MGMT, their music is like a colourful afternoon in the sun – Cassette Club style. 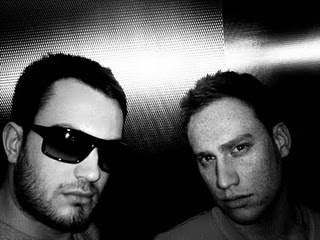 Their latest release, “4 Me”, is now out on Eye Industries with remixes by Rock DJ and Blackstone. Cassette Club have also remixed many first class acts, one of them being Passion Pit. Their remix of “Sleepyhead” has been around the blogosphere for a while now but it’s so good that we can’t possibly not post it. Flawless production, nice bass and sharp synths, these guys sure have the good recipe!